For those of you who have a property manager, let me ask you if this has ever happened to you…. You bring them property you’d like to get managed. You think it’s going to rent out for a certain amount. They take a look at the property, tell you they will find a tenant and manage it for you, but tell you you’re going to have to drop the rent to something more “reasonable.” They tell you your idea of what it should rent out for is way too high. This happens all the time with property managers. And it can have drastic negative effects on your cash flows and returns on your investment properties. There’s a dirty little secret about property managers that nobody wants to talk about. It’s simply the fact that your goals as a landlord and the property management company’s goals are not in line, typically. They want to rent your property out at the highest amount for the least amount of work possible. 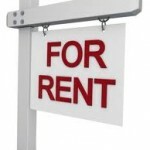 You want to rent your property out for the highest amount possible. And those goals are not the same. Here’s how to solve this issue…. Make sure that your property manager knows and agrees for the rent projections for your investment property before you actually purchase it. That way everyone’s goals are completely in line, and your expectations as far as returns don’t change after you own the property. As a professional Property Manager who prides himself on offering the best and most objective advice to my clients, I resent the implication of this email. It is difficult for me to believe that the only criteria that is being used in this blurb is maximum rent. Since when is this the owner’s only criteria? I tend to believe that finding a qualified tenant who will pay their rent on time each month, who will take proper care of the property and who will stay in the property past the first year are far more important to an owner than maximizing the rent. 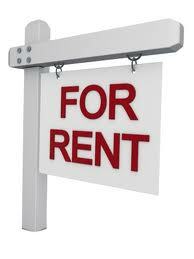 Turnover costs, late rents and damages hurt an owner far worse than $25 per month less rental revenue. 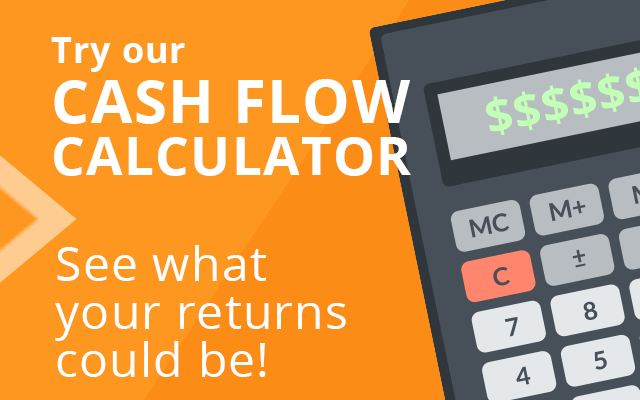 The best way to maximize cash flow is to minimize costs, not maximize rents. This is accomplished by a good relationship between owner and manager, a relationship based on trust. This advertisement for another “wonder product” does not help improve that relationship. I have subscribed to your newsletter for as long as I can remember. I understand that everyone is entitled to their opinion. However, this is the first time I was displeased with the newsletter. I realize that it was contributed by one of your sponsors but the statements made are not indicative of all property managers and I found it offensive. We, as a property management company and owners of our own properties recognize the responsibility we have to our owners. We treat all of our owner’s properties as if they were our own as we know the importance of maximizing revenue while maintaining a property and ensuring that we have good tenants in all of our properties. So, I wrote a response piece…. Hi Jeffrey, I appreciate the feedback from your loyal subscribers and the forum to share everyone’s thoughts and opinions. Many of the responses pointed out that maximum rent is not the only thing that matters, and I completely agree. I understand first-hand how damaging vacancies, evictions, excessive maintenance, and slow-paying tenants can be. However, for the sake of this discussion, let’s assume that when trying to fill a vacancy, your property manager is only talking to top quality residents who behave like angels. The point I was trying to make through the article was that there is not an immediate financial incentive for finding top quality tenants at top-dollar rent for property managers. However, there is an immediate financial incentive to the property owner for finding top quality tenants at top-dollar rents. Those two aspects are not in line. The top-dollar market rent for your property is $1,000. But as we all know, it takes more work to get top dollar rent. Your property manager could advertise the monthly rent (to these resident “angels”) for $1,000 but it would probably take 40 hrs of work. But, if the property manager advertises the rent at $950, it will only take him 20 hrs to rent out the property (less marketing required, less phone calls, less tenant screenings, less objections over price, etc.) If the property manager makes 10% as a management fee, and he decides to rent it for $50 less than market, he is only missing out on $5 a month. That’s $60 a year. But he would’ve saved 20 hours of work! That’s $3 an hour! Would you want to work 20 hours this week for $3 an hour? However, for the property owner, that $50 a month actually means $600 a year. That kind of money can make your investment profitable or a dud. And that doesn’t count the fact that rental increases would now start $50 lower, which can have damaging effects for your investment for years to come. This is why it has been my experience that property managers are quick to drop the expected rent amount for their owners. This is not to say every property manager does business this way. But any time there is a financial motivation to act a certain way, I believe the masses will act accordingly. And the real intention of my article was to point out that you should include your property manager before you ever buy an investment property to avoid this issue. If you get buy in from your property manager on what the rent they will advertise at is before you buy the property, then you can avoid this headache. I hope everyone who reads this article follows that advice, as it has cost me dearly in the past. Thanks again for the opportunity to share my ideas with your loyal subscribers, and I welcome all feedback. I would love to hear our subscribers’ thoughts on this issue as well. Or, if it’s easier, you can email me directly at gregg@jacksonvillewealthbuilders.com. Weigh in, America! Gregg Cohen is the CEO of JWB Real Estate Capital. JWB Real Estate Capital serves clients in 6 countries and 21 states by providing consistent, secure passive income streams through cash-flowing investment properties. In 2011, JWB Real Estate Capital was recognized as the #3 Fastest Growing Company in Northeast Florida. 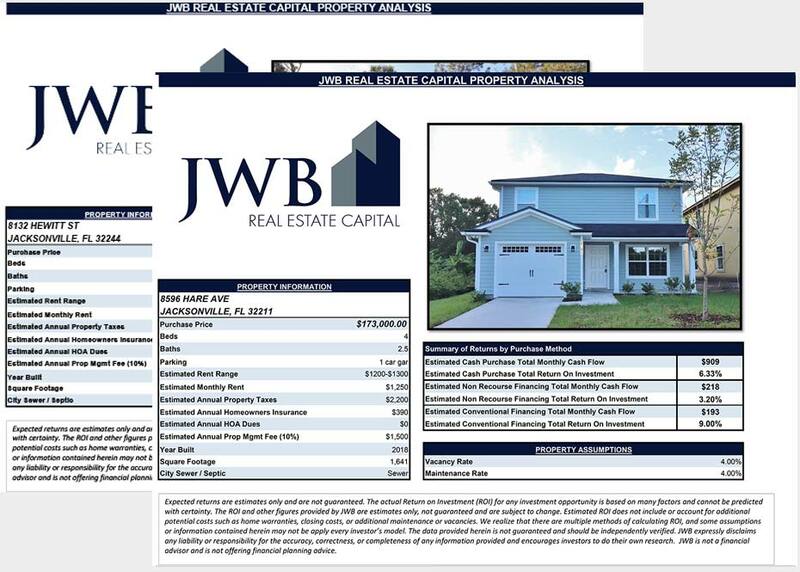 Discover how you can earn safe, secured, consistent returns through cash-flowing rental properties by requesting your Free Information Kit & Audio CD’s at www.JacksonvilleWealthBuilders.com or calling (904) 677-6777.